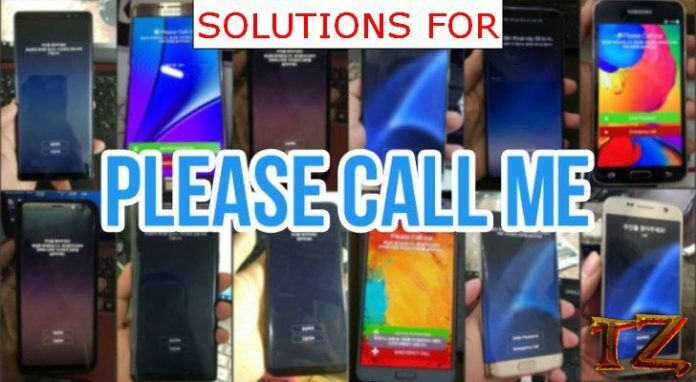 In the previous articles, we have already shared with you a solution to fix ‘Please Call Me’ error on Korean Galaxy S7/S7 Edge and S8 Plus. However, there are still many users of other Galaxy devices that are also dealing with the same trouble. In addition, the method we wrote is only for older Android versions and is a little outdated. So, in this post today, we’ll share you a new method to completely fix “Please Call Me” on Korean Samsung Galaxy devices. This new method is shared from Nhat Nam, a developer. If you are using a Galaxy device from SK Telecom carrier, you might hear about “Please Call Me’ error. Your phone will appear a “Please Call Me” warning if your phone is marked as lost or you break the contract with SK Telecom. Don’t waste the time anymore, here is how to fix “Please Call Me’ error on your Galaxy devices. Step 3: Dial *#0808# > Choose DM+ ADB (last option) and then use ADB FRP Tool to bypass FRP on your device. Step 4: Extract and run the Please_call_me_by_Vnrom.bat file. Wait for your phone to reboot and immediately boot your phone into Download Mode.